The first thing you want to do after a crash is avoid scrambling to your feet. Before you get off the ground, take a quick self-inventory and make sure you don’t have any major injuries. Assuming all of your parts are where they should be, for instance, all of your limbs attached and intact, move quickly to a safe spot off the road or out of the way of other riders and continue assessing. If you were in the U.S. military between 2003 and 2015 and were told you suffered a hearing loss, defective 3M Ear Plugs may be to blame. You may be entitled to significant financial compensation. 3M knew the ear plugs were defective as early as 2000 and failed to disclose the defect to the U.S. Military. The 3M defective ear plugs are dual-sided, and one side is yellow, and the other side is olive green. The ear plugs were manufactured in Indiana and the defect was that the stem in the middle of the ear plug was too short. No other dual-sided ear plugs were ever manufactured. 3M has already paid 9 million in a closed-door settlement after a whistleblower brought forward allegations that the company knowingly sold the U.S. military defective ear plugs. The ear plugs cause hearing loss or Tinnitus. 3M knowingly hurt service men and women for profit. Currently, there are 45 lawsuits in the United States that have now been filed against 3M. We believe there are at least 100,000.00 more military personnel that do not know that the faulty ear plugs caused their hearing loss. 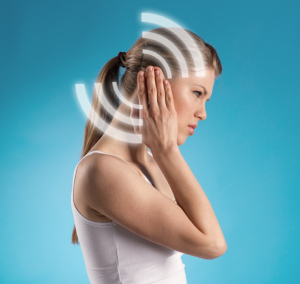 If you or a loved one suffered from hearing loss or Tinnitus from 3M Combat Ear Plugs, please call the experts at Inserra Kelley Sewell to see whether you might be entitled to compensation. It seems salmonella contamination of food products is on the move in 2018. 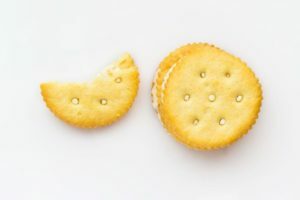 Ritz Cracker Products has issued a recall of Ritz Crackers and Ritz Bits, including Ritz Cheese Cracker Sandwiches and Ritz Bits Cheese. The products contain whey powder, which could contain salmonella, in the United States, the United States Virgin Islands, and Puerto Rico. The company is instructing consumers to throw out their boxes of these products. The salmonella microorganism causes the worst damage in the elderly, very young, and those who are frail or with compromised immune systems. The sicknesses caused can especially make such populations dangerously sick, but in anyone can cause stomach pain, nausea, vomiting, diarrhea, and fever. If you or a loved one has been sickened with salmonella infection, do not hesitate to contact Inserra Kelley Sewell, Personal Injury Attorneys where our compassionate professionals can advise whether you may be entitled to compensation for your injuries. Every day there are forty-six deaths in the United States attributable to a prescription overdose. In 2011 alone, 16,917 overdose deaths involved opioid pain relievers, with 31% of the deaths including benzodiazepine sedatives as well (CDC WONDER, unpublished data, 2014). In 2012, health care providers wrote 259 million prescriptions for opioid painkillers. Although many injuries and medical conditions require pain medication as treatment, prescription drug overdose has become an epidemic in the United States according to the Center of Disease Control Director Thomas Frieden. Prescriptions have increased 400 percent in the last decade. Nebraska has the third lowest drug mortality rate in the United States, however does little to curb prescription drug abuse. One reason there is such a problem with overdosing on prescription drugs is overprescribing. Unfortunately prescription opioid abuse kills twice as many people as heroin and cocaine combined, and new studies suggest that 3 out of 4 people with a dependence on heroin began with prescription painkillers. Some states have begun to institute a prescription drug monitoring program in order to deal with the problem. In 2013, New York saw a 75 percent decline in the number of patients obtaining painkillers from multiple subscribers after instituting a monitoring program. Should I Stop & Render Aid to Accident Victims? https://inserra.com/wp-content/uploads/2018/07/inserra-kelley-sewell-omaha-attorneys-logo-2-ssl.png 0 0 Christina Koch https://inserra.com/wp-content/uploads/2018/07/inserra-kelley-sewell-omaha-attorneys-logo-2-ssl.png Christina Koch2014-07-23 21:25:552018-01-19 23:21:47Should I Stop & Render Aid to Accident Victims? One of the newest blood thinners on the market, Xarelto, has been added to the list of drugs with dangerous side effects. Xarelto was approved in 2011 as a potentially safer alternative to Warfarin, as Xarelto does not require regular blood monitoring or frequent doctor follow up. Unfortunately, Xarelto has now shown to be on the same dangerous path as other blood thinners which have severe and lethal risks. Xarelto was originally prescribed to prevent stroke or blood clots in patients suffering from atrial fibrillation and to reduce the risk of blood clots in patients undergoing knee or hip replacement surgery. Xarelto was expanded in 2012 to allow the drug to be used as a treatment for deep vein thrombosis or pulmonary embolism. The Food and Drug Administration (FDA) has received reports of dangerous blood clots, caused by uncontrollable bleeding. Patients who have suffered side effects from this drug can experience high medical debt from emergency visits to the hospital and the costs of ongoing care, as well as lost wages from time away from work. The holiday weekend brings friends, family and fun. This summer as you and your family resume swimming and other water sports, remember to be safe. Set water safety rules for your family and make sure you pay attention to weather conditions and forecast. When jumping into the water, jump in feet first, unless the area is clearly marked for diving and has no obstructions. Never mix alcohol with swimming, diving or boating as alcohol reduces the body’s ability to stay warm and affects your reaction time, swimming and diving skills. Never leave a child unattended around water and always keep a phone nearby for emergencies. Remember that you may not always hear a child in trouble in the water as a child drowning is often not able to splash to alert anyone of trouble. Child drowning is a silent death so designate at least one person to monitor children in the water. Keep toys away from the pool when it is not in use as toys attract children to the water. Always remove pool covers completely prior to use. Don’t be afraid to use flotation devices with your children, however they are not a substitute for adult supervision. If you will be boating, ensure that there are life jackets for yourself and every person in your party. Make sure someone who will stay on land knows when you leave, your expected route and when you will be back. If you will be skiing, ensure that you keep far enough away from the motor and any moving parts of the boat. Always carry a first aid kit, a flashlight and a whistle in the boat. Be sure that rafts and kayaks are in good condition and avoid areas where the water is very low or has large amounts of debris. Do not overload a raft or go rafting after a heavy rain. Tubes should be checked for stability prior to entering the water. Water sports and activities offer a lot of fun for the entire family, if proper safety precautions are followed. Have a safe and happy holiday weekend! The Fourth of July means many things to America, the most important of which is an opportunity to celebrate the freedom we celebrate in this country. It is a time for family, friends and fun. It can also be a dangerous time for children and adults. Over 550 children under the age of 16 require medical care in the four weeks surrounding July 4th, with more boys than girls becoming injured by fireworks. The majority of these boys are ages 12 to 15 years. Although it is important to children to be involved with the fireworks, simple safety precautions can prevent major injuries. First, remember that children require supervision and should always be kept a safe distance from any fireworks display. Children under five are too young to safely hold a sparkler on their own and do not understand why the pretty colored wand is dangerous. 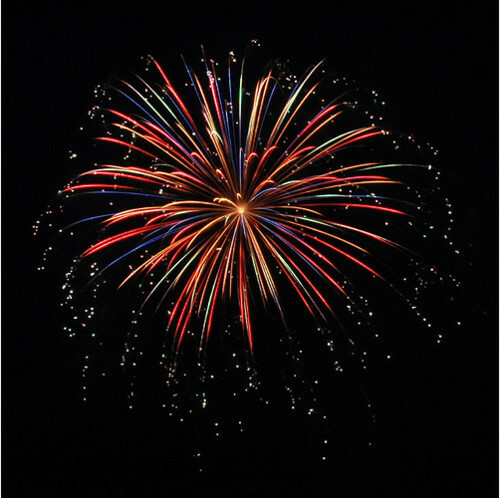 Likewise, a baby or toddler will reach for anything brightly colored so avoid holding a baby or toddler while handling fireworks or sparklers. Even older children require supervision while handling sparklers. It is also a good idea to keep a bucket of water handy to dispose sparklers in once they have burned out to avoid a child from picking up a hot one off the ground. It is a good idea to have one designated person to set up and light the fireworks. Adults should use a taper or firework lighter to light fireworks instead of a cigarette lighter and remember to hold fireworks at an arm’s length or place it on the ground before lighting. Move away from the fireworks after you light it but be very careful not to slip and fall. Never light a firework close to your face or loose fitting clothing and avoid drinking alcohol if you will be lighting the fireworks. Fireworks can have delays in their burn cycles so do not approach a firework until at least one minute has passed since its last activity and do not try to relight a “dud” . The National Council on Fireworks Safety recommends wearing safety glasses when using fireworks and only lighting on firework at a time. Bonfires should be at least 60 feet away from any building or structure, trees, hedges or fences. Never throw fireworks into a bonfire. It is important to ensure that you gather all of the spent fireworks after the display to prevent any burns, fires or any live fireworks from getting into the hands of children. Make sure all fireworks are purchased legally and do not try to make your own fireworks as it is illegal and places you and your loved ones in danger. Accidents happen so if you do experience a burn, flush it immediately with cold water for at least ten minutes and seem medical attention. Never pull at clothing which may be stuck to a burn and make sure you keep burns clean and covered to avoid infection and aid in the healing process. Remember that any burn larger than a postage stamp should be treated by a medical professional. Remember this Independence Day that simple safety precautions can prevent your fun family celebration from becoming a trip to the emergency room. Have a safe and fun Fourth of July! It happens in a second, often without warning. It can be a short term inconvenience or a life altering event. Most of us have been involved in some sort of automobile accident in our life. Even if you are the most careful driver operating a vehicle with a high safety rating, you cannot avoid every accident. So once you have been involved in an accident, what steps can you take to prevent further danger to yourself, the other driver or anyone else involved in the accident? First, do not stand in the street and make sure you render aid to any injured persons. Do not leave the scene of the accident, even if it doesn’t seem serious. You could be charged with “Leaving the Scene of an Accident”, which can be a misdemeanor or a felony crime , depending on whether the other party claims injuries as a result of the accident and your state’s laws. It is also important that you document the accident completely. This includes exchanging insurance information and reporting the accident to law enforcement. You will also want to take photographs if it is safe to do so without standing where you could be hit by passing traffic. Photographs can be taken by a digital camera or even a camera phone. Exchanging insurance information is an important part of documenting the accident. Make sure you confirm the information the other driver gives you by viewing their driver’s license and insurance card. Be sure to exchange name, address, phone number, insurance company, insurance policy and make, model and color of the vehicles involved in the accident. Reporting the accident to law enforcement will also help both drivers confirm the information is accurate and any statements to the police regarding liability or potential injuries. If you are injured in the accident, seek medical care as soon as possible and follow the recommendations of your treating physicians. Make sure you keep a good record of where you have treated and any bills or expenses related to the accident. 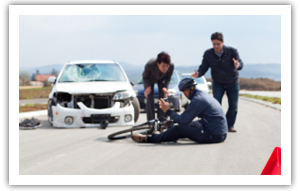 Reporting the accident to law enforcement helps further document the occurrence of the accident. As many as one in seven drivers has no car insurance. This is why it is important to keep your insurance up to date. If an uninsured driver hits you, you may need to make a claim against your own insurance company. Do not forget to file your driver accident report, which must be filed with the Department of Motor Vehicles within ten (10) days of your accident in the State of Nebraska. Make sure you are detailed and note what street you were on, which direction you were traveling and the details of how the accident happened. You will also want to get the names, addresses and phone numbers of any witnesses to the accident. Not everyone is calm and collected at the scene of an accident, but remember to handle yourself appropriately. Always ask if the other driver is okay and never admit fault. Be polite and courteous, but do not offer more information than your name and basic insurance information. Remember that comments made at the scene of an accident can be held against you later. You may also want to consult with an attorney to determine whether or not you have a claim against the other driver for your injuries and to ensure you get a fair and timely property settlement from the insurance company. Remember that insurance claims take time to resolve so keep in touch with the insurance company while your vehicle is being repaired in order to ensure that your vehicle is repaired properly and you do not end up owing extra money in car rental fees. Properly documenting an accident can ensure a smoother insurance claims process and reduce your stress as you prepare to find a new vehicle and get back on the road again.